Not only kaolin mining but also bentonite quarrying in the clay mine, you can choose our mining equipment. 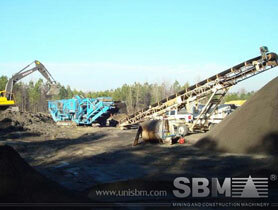 There will be both stationary crushing screening plant and mobile or portable plant provided for your mining. With the ability to maximize product output, our clay mining machineries feature high production rates, low operating costs and simplified state of the art mainframe. Till now, SBM clay mining processing equipment have been adopted in more than 130 countries' mining around the world, such as Canada, Mexico, Spain and the United States, etc. You are most welcome to purchase our clay processing equipment. "For almost 30 years, SBM has always been engaged in researching and developing better crushers, grinders, feeders and screens for clay mining."